I love me some good coffee. Not even a little bit, but to an obsessive degree. When the hubby and I actually are home for a weekend and the weather complies, we head out for our traditional morning “coffee walk.” There’s nothing like walking a few miles and taking in the sights of a lovely Saturday or Sunday morning, then grabbing a warm cup of java at the fave coffee house. My style: thick, robust and flavorful with a little half-and-half to bring out the flavor. I like my coffee strong (but not bitter) and complex. Having fallen in love with Turkish coffee years ago, I was sure I would like Arabic coffee. It’s prepared in a similar way: boiled instead of brewed. But something in the whole process went wrong. Very wrong. My tastebuds were incredibly sad and my brain wondered how this possibly could have been done to coffee. 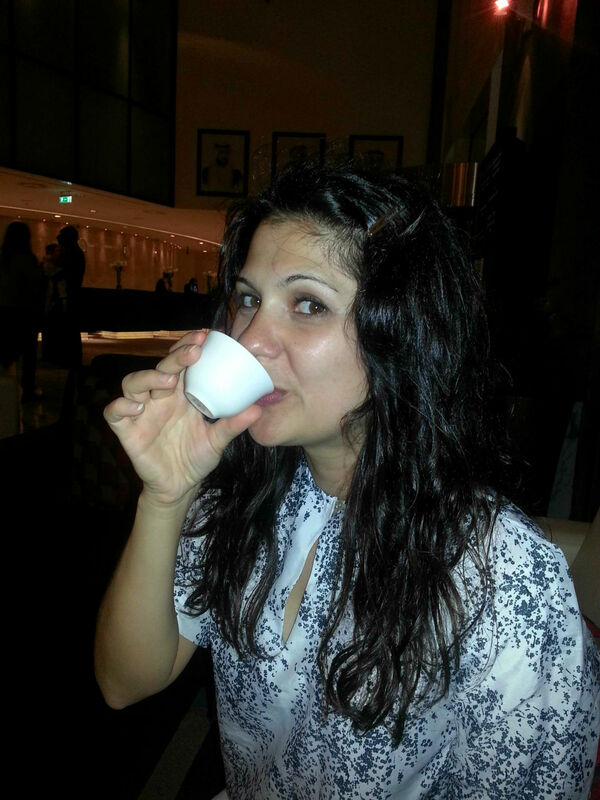 My first taste of Arabic coffee was during Ramadan in Abu Dhabi this summer. Part of the tradition is for Muslims to break their daily fast during the holy month with water and dates. 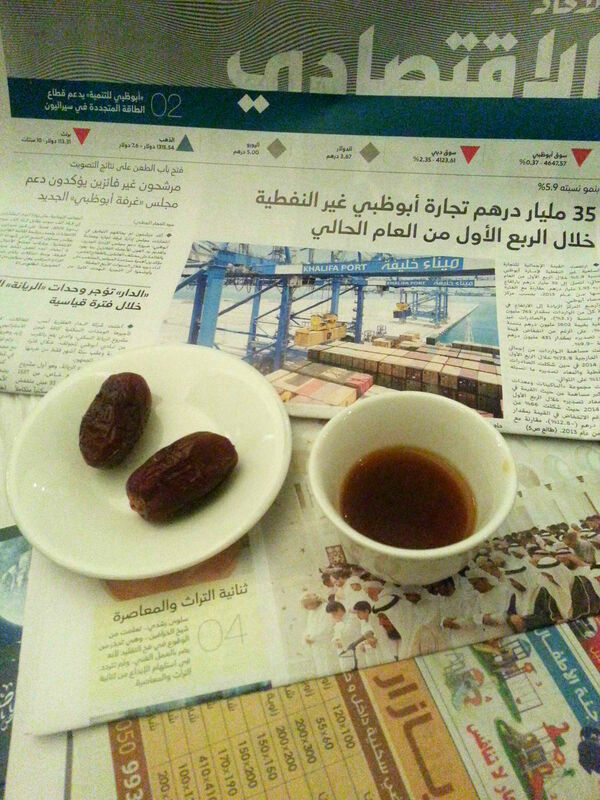 I was offered a chance to partake in the breaking of fast with some dates and Arabic coffee. I have never turned down dates nor coffee, so I was elated about the tasty treat I was about to devour. I didn’t like how thin it was — almost like a very strong tea — although I understand that is how it is supposed to be. I found it to be incredibly bitter without having a lot of body. And the spices just didn’t do it for me, they merely seemed to add to the bitterness. I figured maybe my first taste of Arabic coffee may have been poorly made, so I tried it again and will admit it sucked less. Granted, it still sucked, but less this time. It’s one of those things that everyone is going to make a little differently with different spices and brewing techniques, so you may like it one time and not the next. The next place I tried it, the coffee was less watery and had less saffron, so that was an improvement. But I still didn’t love it. I tried it for a third time in Abu Dhabi, and then one more time in Dubai, just to make sure I had enough data to form an adequate opinion. Verdict: Arabic coffee is not for me. You know what is for me? Turkish coffee. A lot of people pale at the thought of the thick, tar-like substance with grounds lurking in the bottom of the cup. But I love it. Great flavor, great consistency (as long as you remember not to drink the grounds), thick foam and typically no spices to detract from the coffee flavor. It’s served in tiny cups, often with a side of water, because that small amount packs all the punch you need. Making Turkish coffee is steeped in tradition (steeped! Get it? Sorry, I couldn’t resist) and actually is recognized by UNESCO as an intangible cultural heritage. Making the coffee has been part of the country’s wedding traditions and also remains part of everyday routines. I enjoy thinking of the rich tradition behind the beverage and imaging all the millions of people throughout history who similarly sipped the thick drink in tiny cups. Although I prefer to support small, local coffee shops wherever I go, sometimes I just have to go back to tried and true American chains. Go ahead and judge all you want, but I like Caribou Coffee and now that they closed most of their U.S. stores, I can’t find it. Apparently they kept foreign stores open, so I drink it when I’m abroad. 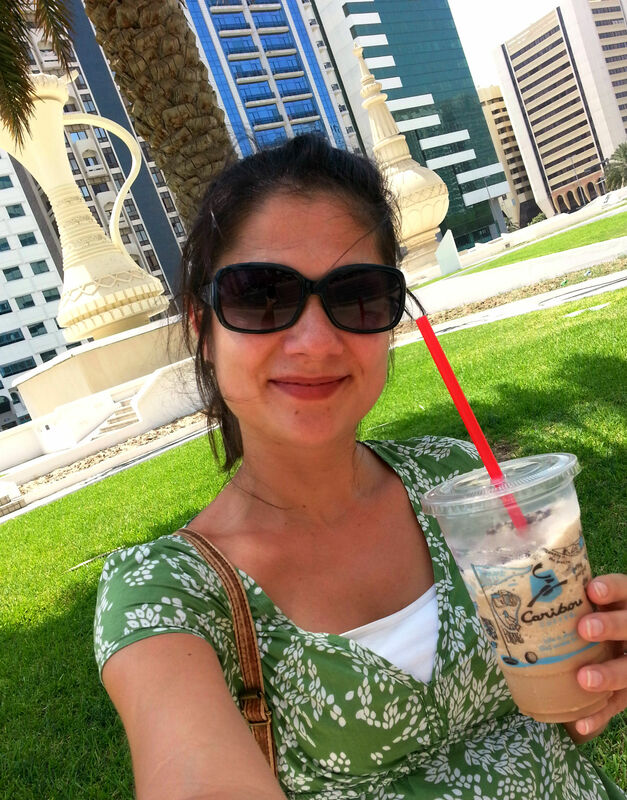 I drank a lot of it in Abu Dhabi. I’m not even sorry. Coffee is one of those things people tend to have strong opinions about. There are countless varieties and means of preparation to satisfy the countless human tastes. I’m glad to have tried so many different varieties in so many different countries, but I’m also glad to leave some of them behind (ahem, Arabic). 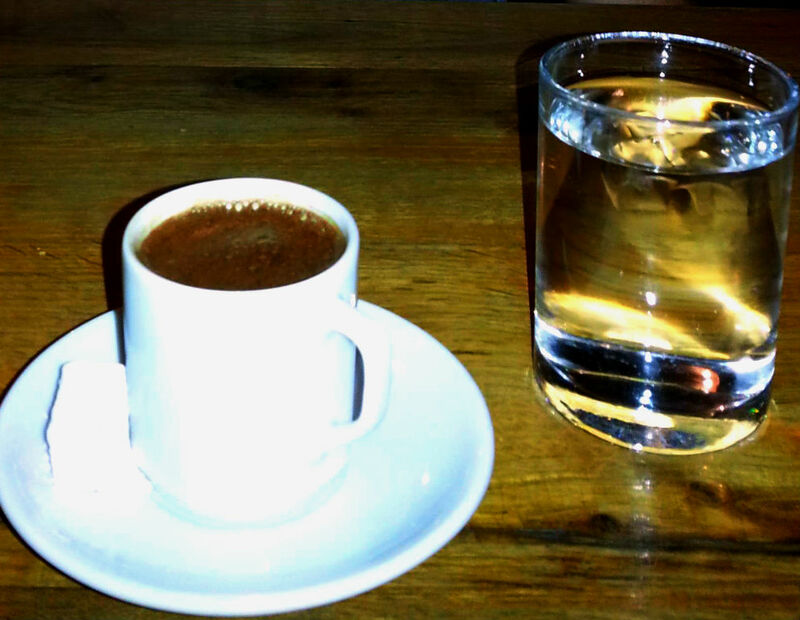 I’ll continue my search for a better coffee, but for now the Turkish (and Italian) coffees reign supreme in my book.